She’s an antique Irish choice that just might be ready for a comeback. Thanks to JNE for suggesting Muriel as Baby Name of the Day. In 1994, Australian actress Toni Collette’s breakout role was as the ABBA-obsessed, desperate-to-wed Muriel Heslop in Muriel’s Wedding. When she does land her dream guy, Muriel briefly changes her name to Mariel, an appellation she thinks better fits her new, magazine-cover-gracing image. By the movie’s end, she’s plain old Muriel Heslop again, comfortable in her own skin at last. There is something homely about Muriel’s mur- Few given names share the first syllable. Murray isn’t exactly a crowd pleaser, either, and Myrtle remains dowdy, even as Hazel and Violet appear in kindergartens once again. But it wasn’t so long ago that Hazel and Violet seemed like outrageous names to bestow on a daughter. Muriel’s -el ending is quite current, and her Celtic roots could boost her appeal. 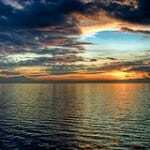 Her story goes like this: Muirgheal comes from the Gaelic words muir – sea – and gheal – bright. From the Irish to the Normans to the English, the name became Muriel. She was in use during the Middle Ages, but faded, only to be revived during the nineteenth century. Dinah Craike’s John Halifax, Gentleman, a popular tale of an orphaned boy who makes good, used the name Muriel for John’s deceased mother. Film adaptations – the first in 1915 – followed. There are a handful of other possible origins for Muriel. It’s a Spanish place name. In Christian angelology, Muriel is the – masculine – angel associated with June. Arabic and Hebrew roots are also sometimes listed, and might relate to myrrh. The princess Myrrha appears in Greek mythology as the mother of Adonis. Geena Davis won an Oscar as Muriel in the 1988 film adaptation of Anne Tyler’s 1985 novel The Accidental Tourist. Muriel peaked at #112 in the US back in 1922, but hasn’t ranked since the 1960s. In France, Muriel and Murielle were big in the 1960s. Meriel, Meryl and Merrill are all valid variants from the original Gaelic, none often heard. The unrelated Mariel – it’s a diminutive form of Mary – has been more popular in recent years, in part due to Oscar-nominated actress Mariel Hemingway. But Mariel, too, has faded since the 1990s. Muriel has made two small screen appearances in recent years. She’s a less-than-diligent housekeeper on The Disney Channel’s Suite Life of Zack and Cody. Before that, Muriel was the middle name of Friends’ Chandler Bing. But before we dismiss Muriel, remember the 100-year rule. Conventional wisdom tells us that it takes around a century for a name to return to fashion. All the girls called Alice, Emma, Lily, Ruby and Grace today would’ve been equally at home in 1910. Right now, plenty of 1920s favorites seem impossibly musty. Could we be just a mere decade away from finding Doris, Ruth and Muriel the most fashionable of choices? I am Muriel of 52 years and I would not of hated my name so much if I was called Muriel in the beginning. They always called me by Muriel, but pronounced it (Meryl) I was not going to tell no man as cute or ugly as he was that my name was Meryl. I remember my first real experience having to introduce myself to a guy and when he asked me my name and I look into his eyes and I pronounced Muriel so eloquently that it was a hit. He smiled and said he liked that. It was his grandmothers name. No love connection, but still great friends after 36 years. Anyways Muriel has a great meaning and I am truly from the sea. I wouldn’t mind my grand daughter being named after me. I hate my name after 64 years I would love to change it ,my daughters think its old and wouldn’t use it for their daughters name thank god! I was called after my godmother,my mums sister. Well, if the 100 year rule applies, I’m ahead of the curve. My Muriel is 4 1/2. My grandmothers were Myrtle and Marge. Wanted to stick with an old-fashioned “M” name without using either of those. June was a special month in us becoming a family through adoption. When I learned Muriel was the Angel of June, it sealed the deal. The name is totally befitting of her. Spunky, lively and colorful. Just like a flapper girl of the height of her names interest! How nice, Tracy! I know a baby Murielle who shares her name with her great-grandmother. (Or wait, is her great-great-grandma?) In any case, it wears nicely and is completely unexpected. Muriel is my mother’s name. It was the name of her mother’s 2 best friends. Nonetheless, my mother has always hated it, calling it “an old lady’s name” and telling me I am NEVER to name a child after her, LOL! 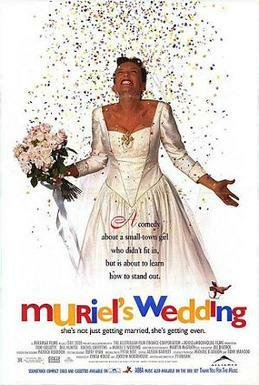 The movie Muriel’s Wedding made her hate it even more. I know someone with 6 daughters (all under 13) named Sian, Imogen, Maisie, Mia, Grace and Muriel. It was interesting to me to see the other name choices of someone who liked Muriel. My mother had a French exchange student once, years ago, who ADORED her name. Mind you, the way he pronounced it did make it sound rather appealing!! Muriel. Anyone remember the TV show Too Close for Comfort? I loved Too Close for Comfort, and completely forgot about Muriel until just now! Mostly what I remember what Jm J. Bullock. I was fascinated by the spelling Jm. I think my Mum has an Aunt named Muriel. She’s known as ‘Mo’. She must be in her 70s I guess. It does make me think of the ABBA movie. I definitely can see the name making a slow comeback, 100 year old rule style. A friend used`this in the middle spot nearly 3 weeks ago – Alice is up front. I was surprised. She did it to honor a grandmother. The name was actually one I mentioned (along with about 10,000 others) when I pregnant and of course the other half immediately said, “you’re terrible, Muriel”. Couldn’t blame him, I think it too. It seems to me that the first syllable in that case (Aussie style, I guess) is more MYOOR than MUR… and I like that softer variant a bit more. I did know a Muriel in middle school – she briefly attended before moving away again – that was my introduction to the name. She was from Sudan. She’s the only Muriel I’ve known personally. In any case, I like the name fine, and am excited for my friend’s new baby with a pretty name that is a bit more rare than the typical top ten. And I have to say, I love the 20s names… my daughter’s US equivalent, Imogene, was most popular in the 20s. Our top-2 pick had our son been a girl was also ranked highest in the 20s: Eleanor. I guess I kinda like some of those 20s somewhat musty names. I say “MYOOR-iel” too. I’ve actually never heard it said otherwise. I think she is rather= hard on the mouth. I prefer the Tolkien-ish Miriel. Speaking of Ruth…it’s a family name and I’ve been wondering if I’d be brave enough to use it. A little girl nicknamed Ruthie could be very cute. Maybe?! One of my best friends growing up was a Ruth called Ruthie. She’s the reason Roseanna is Roseanna Ruth — it’s a lovely name! My dad!! and I were just discussing how much we both like the Ruth. That’s the only time I remember we EVER agreed on a name. Muriel makes me think of one thing: Muriel Stacey from L.M. Montgomery’s Anne of Green Gables. It’s a pleasant association and a pleasant name, but not one I think I’d use myself. […] for meaning, like Muriel, the first part comes from muir – sea. […] interview – you can also marvel over her fluent French.